Today's challenge is "garbage," but rather than photograph my garbage, I'd rather tell you a story about garbage. 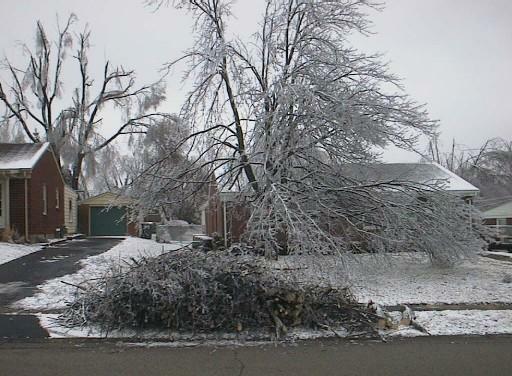 About a month ago, a massive ice storm hit Lexington, and the weight of the ice brought down branches or trees in almost every single yard in Lexington. Now that the weather is much improved and people's lives have been restored to old routines, there is only one element of the ice storm left to be handled. Yard waste everywhere. You should see Lexington neighborhoods now! Stacks of branches, everywhere you look. City government tells us they expect to have it all cleared out by May.